I started my blog June 1 2012, and since then I have been amazed at the amount of support and encouragement that I receive from readers each and every day. You all are truly amazing, and I have conversed with some really cool people along the way! Yesterday, I reached 10,000 views, so I thought it only fitting to commemorate the support by offering a giveaway! 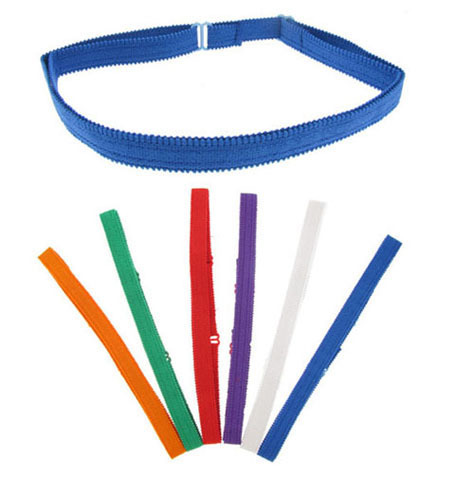 My favorite weapon to spice up an awesome high bun or bantu knots are Bra strap headbands! Whenever my high bun is not a hundred percent tha business, I just put a brastrap headband on and all problems are solve. So I decided to offer it in my first giveaway. 2 lucky readers will receive her very own set of six colors (2-reds, 2- yellows, 2-purples, 2-orange, 2-greens, & 2-blues) to add to her styling arsenal! So here's the tea; Leave a simple comment on what your definition of a beautiful bun is, and I will use a random number generator to pick a winner [you must be a subscriber though]! On August 18, 2012, I will announce two winners! Simple enough eh? STAY TUNE FOR MORE AWESOME GIVEAWAYS!! A beautiful bun for me is a high bun which is really full. I like a unique bun, I want to try a mohawk bun next! A beautiful bun for me is a sleek "southern tease" bun. Not only is it easy to do but it looks great too. A headband would be a great addition to it. Kim Kardashian always has fabulous ones. 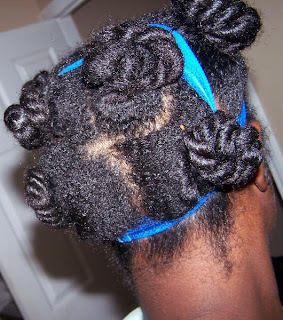 A beautiful bun is big and full with lots of texture. I like the donut bun the best, because it looks classy. My definition of a beautiful bun is a smooth, but thick bun. Buns with headbands are great! I love a messy bun, if it's too perfect it just doesn't work for me.